Your hearts have been caught in the web of love, and this save the date postcard's romantic design proves it! The grey background, webbed heart design and your personalization are printed on the front and your wording is printed on the back. The heart designs and your wording are printed in your choice of colors and lettering styles. The postcard requires no envelopes for mailing and needs only postcard-rate stamps for savings. 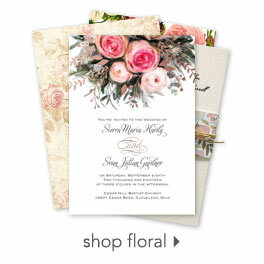 Personalization Options: The heart designs and your wording are printed in your choice of colors and lettering style. I LOVE my save the dates I got! I absolutely love my save the dates. My fiance and I looked at many different save the dates and invitations and when we saw the Web Hearts we fell in Love. The place where we are getting married is somewhat Rustic/ Vintage and we couldn't find any that we liked. When I found Invitations by Dawn I found many that I could choose from it was a hard decision to find just one. We both saw the web hearts and just absolutely loved it. We ordered the save the dates already and when will he ordering the invitations too. I like the postcard idea for the save the dates as well. I didn't want a magnet like I see a lot of people doing. Keep up the good work! THANKS!! !